The packaging comes with a 32mm Euroslot on the top which fits all common shop display racks. 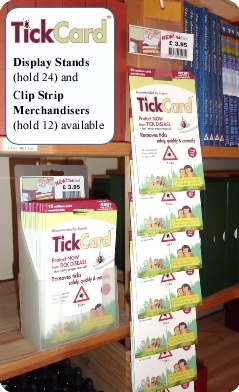 However, we can add a Clip Strip Merchandiser which holds 12 cards FREE of charge if you specify to have one added – select below. For larger packs of 24 click here.